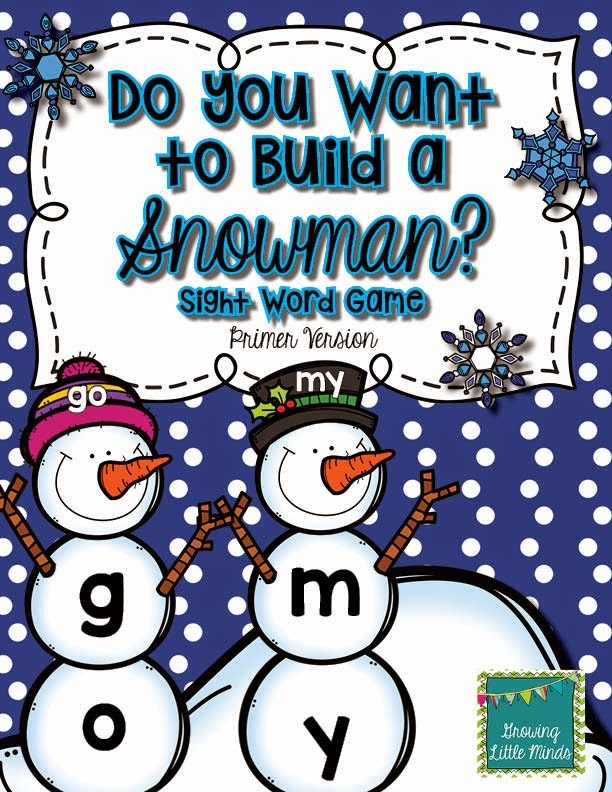 Growing Little Minds: Winter Fun! It's 57 degrees here today, so I'm not sure if naming this post "Winter Fun" is appropriate, but that's just too bad. 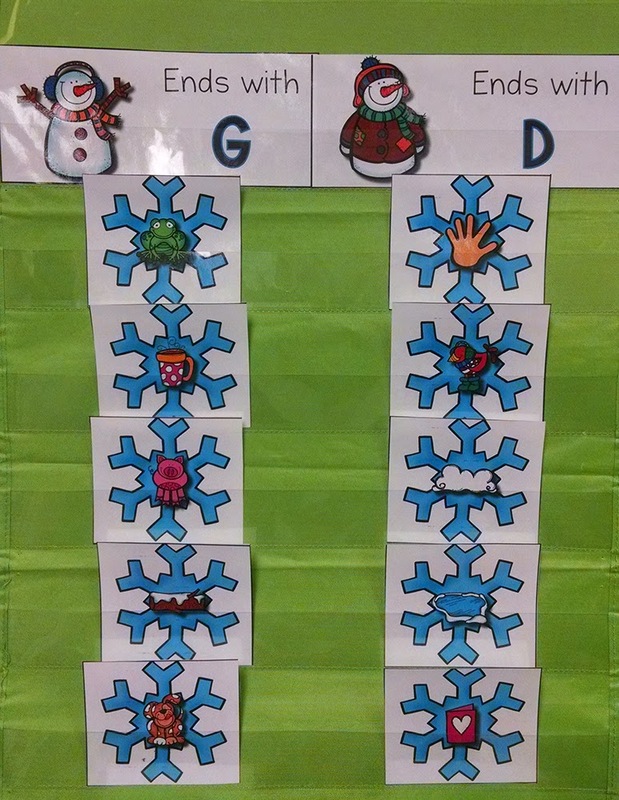 We've been doing some winter-themed stuff in my classroom the past few weeks, and my students have had a lot of fun! I just wanted to fill you in on a few of the fun activities we've been doing! 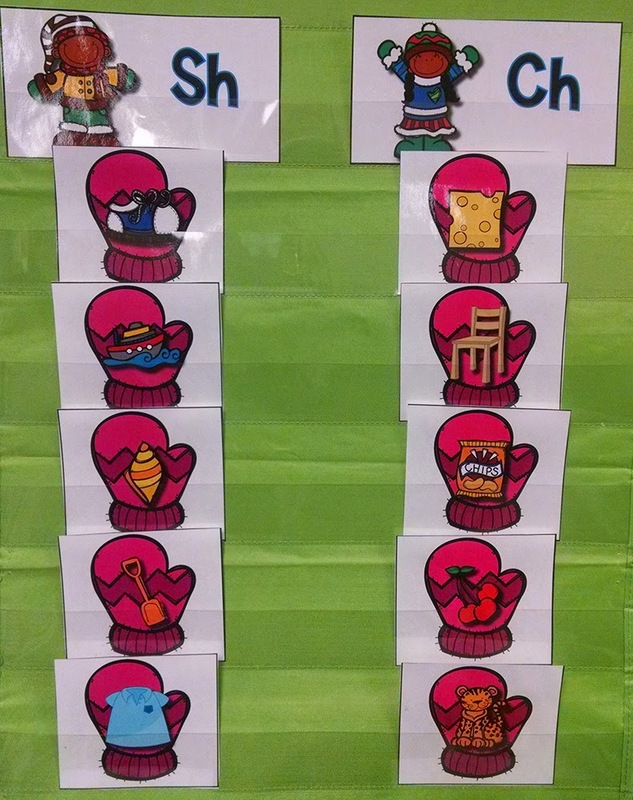 We've been working on consonant digraphs, ending sounds, and medial vowel sounds. We've been doing a whole lot of blending sounds together and segmenting sounds to write. We've also been doing lots of sorting too. These are a few of the sorts we've been doing. We also sorted the "th" digraph and several other ending sounds. The kids loved helping me sort these pictures. These are all available in my Winter Bundle. We've been working really hard on our word wall (sight) words. 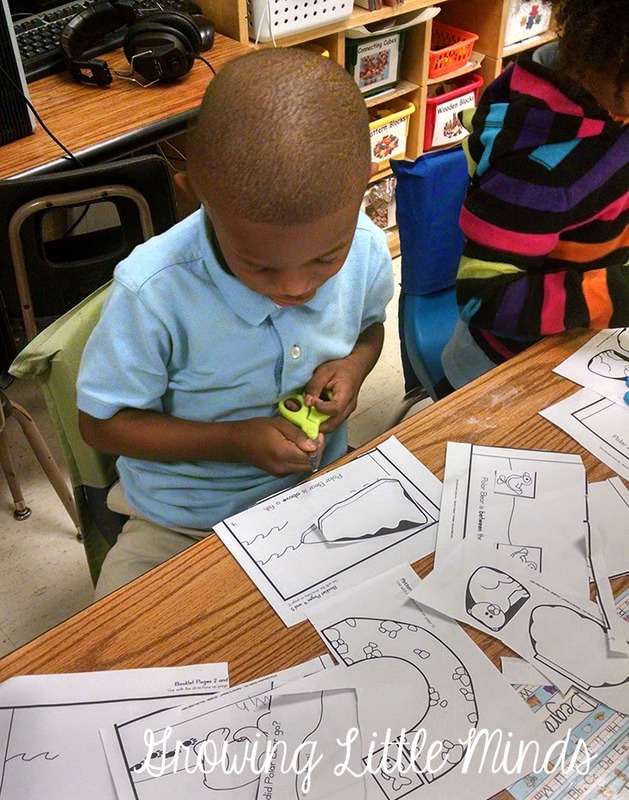 Our word work center one week required our students to practice their sight words. They loved finding the letters to make the words they were trying to spell. 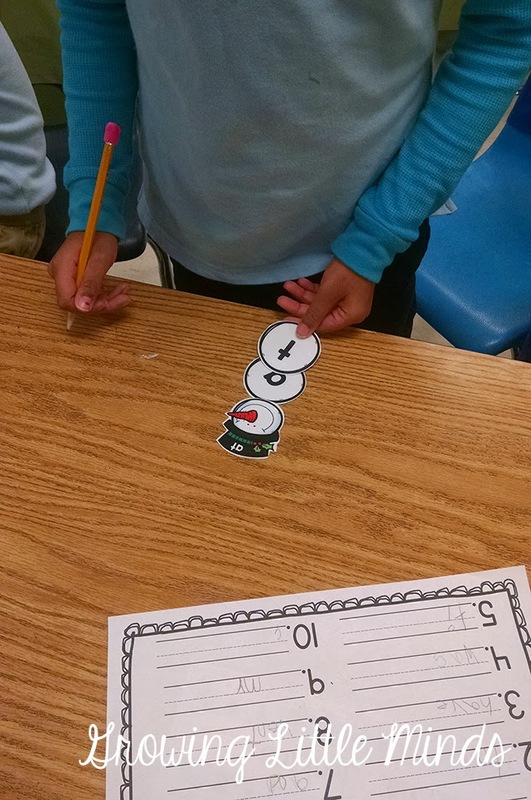 Each snowman head had a sight word we've been practicing written on its hat. 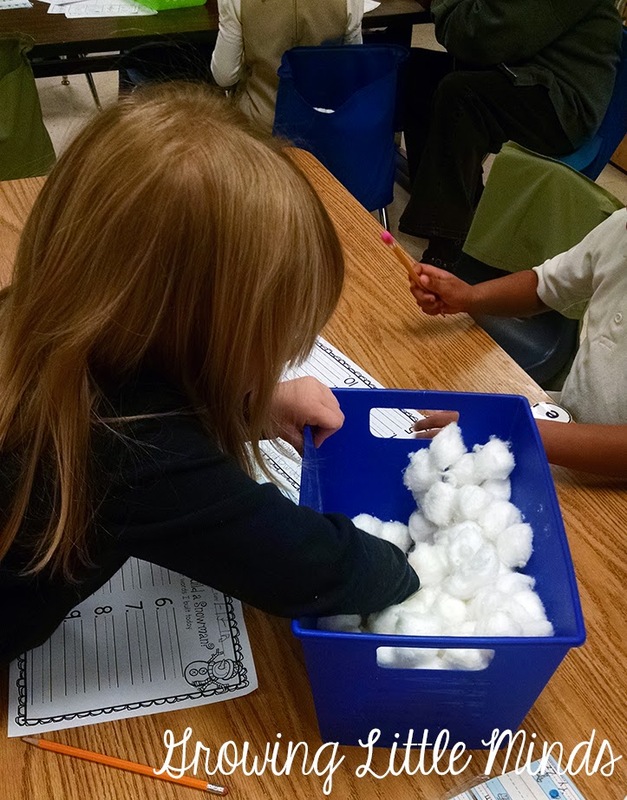 They had to pull the letters out of the cotton ball snow and build the word with the correct letters. The kids LOVED this center! There is a recording sheet as well, so they can write down the words they practiced. Both the Primer and Pre-Primer versions of this game are available in my store. 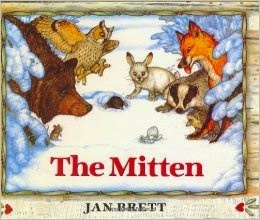 We also read some Jan Brett books, including The Mitten, The Hat, and The Three Snow Bears. The kids really enjoyed reading her books! We did some fun activities with these books, including writing and math! I wish I had pictures of all of them! This was one of our math centers. 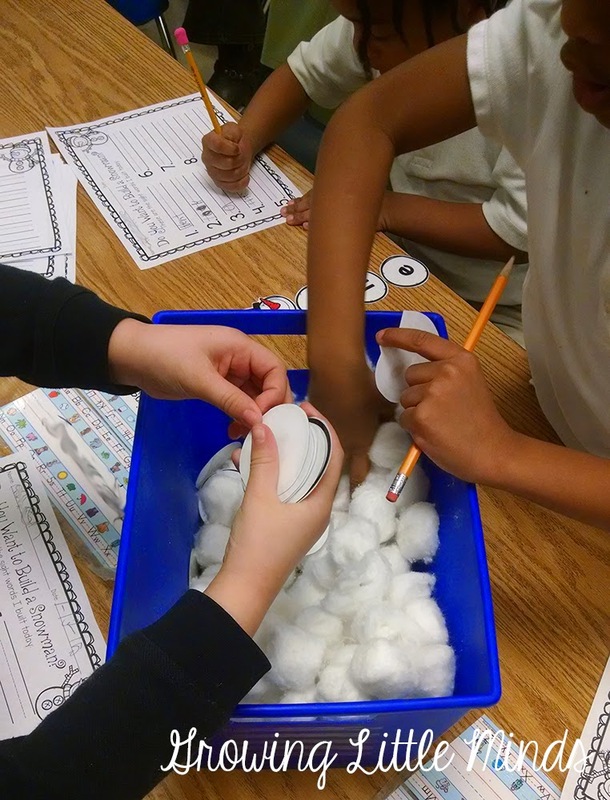 The kids had to see how many animals would fit in a mitten. I just bought some animal crackers from Kroger and we used those. 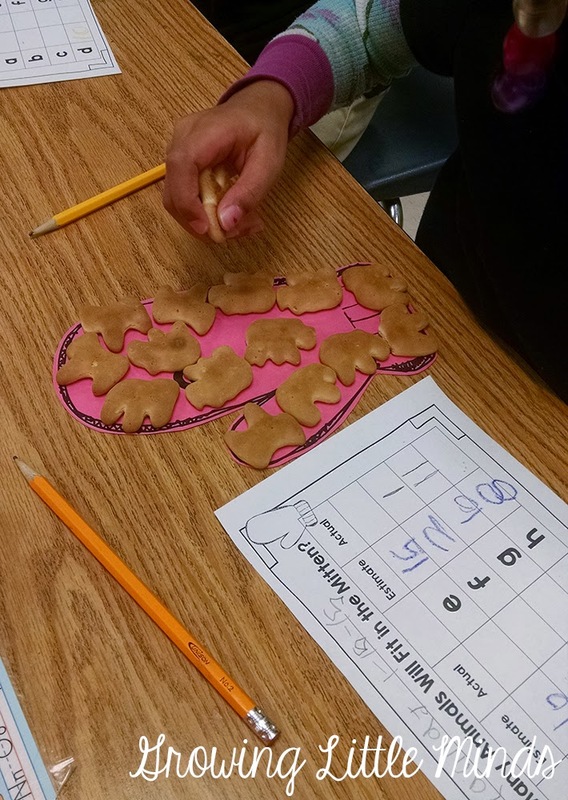 First, they had to estimate how many animals would fit in a mitten, and then they had to put the animals in the mitten to see if their estimate was correct. 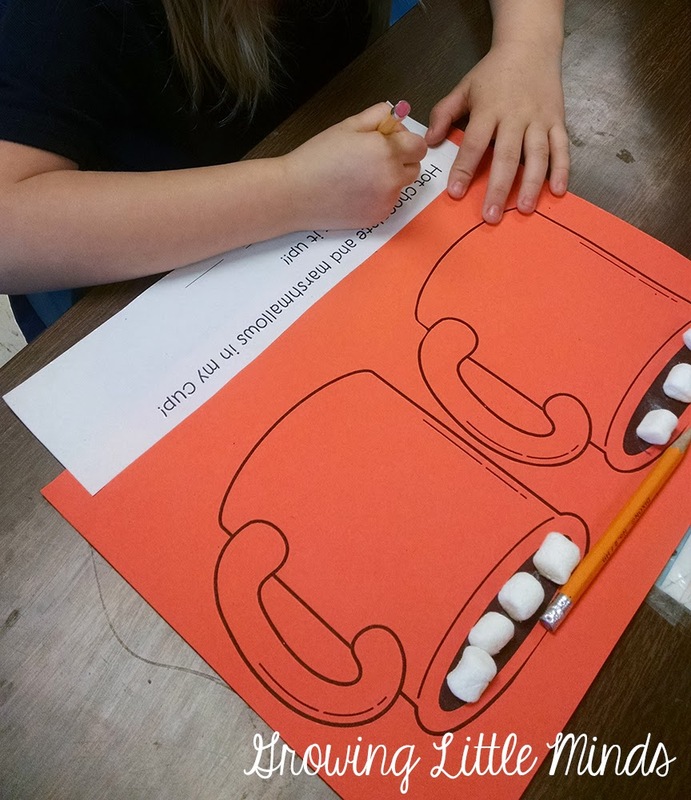 We also did a little hot chocolate math with marshmallows! They rolled a die for the first number and a die for the second number. Then they had to write an addition problem and show their work. These look really cute hanging up in the hallway! We finished up this day by making hot chocolate and eating some animal crackers! 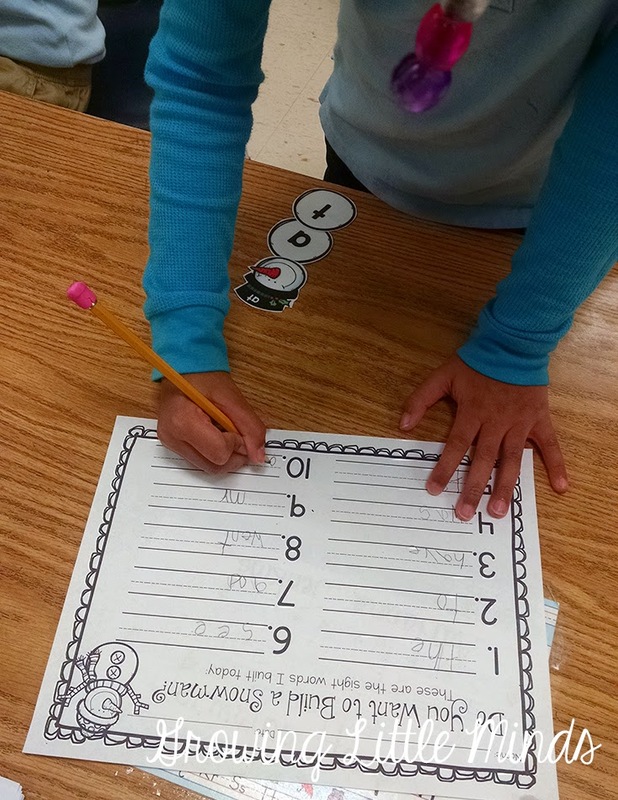 We also did a cute little Polar Bear positional words book. The book came from The Mailbox magazine. The kids added the finished book to their book boxes to read when they have free time! So there's one week of winter fun! What fun winter activities did you do with your students? I'm hoping the winter fun isn't over yet- I want to make snow!